Sledgehammer provides players the incentive to earn XP bonuses and rare gear. A new patch for Call of Duty: Advanced Warfare introduces the usual fixes and improvements but also serves to add Supply Drop Daily Challenges to the game. These Daily Challenges are randomized for each player and can be found in either the Challenges tab or in “Find Match”. You’ll need to complete a basic task such as earning kills with a particular weapon or earning a set number of points in a game mode. 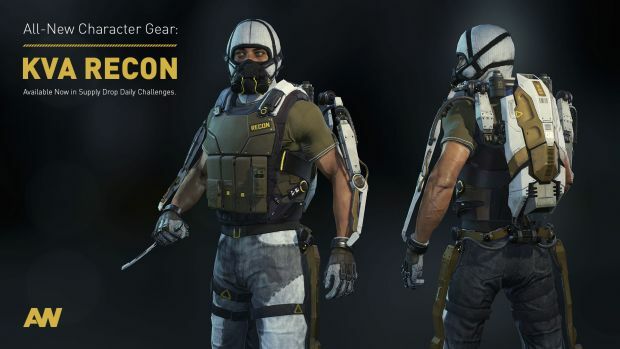 Rewards include XP bonuses and Supply Drops though you also stand a chance to pick up gear from the new KVA Recon set. Unfortunately, these challenges are exclusive to PS4, Xbox One and PC owners. The patch does offer a bit more than that. Besides matchmaking and connectivity improvements, map exploit fixes and an issue where wins counted as losses in Ranked Play, Sledgehammer also fixed an issue that was preventing Season Pass owners from accessing the new early access AE4 energy weapon on Xbox platforms. What are your thoughts on the new patch? Let us know below.